From gem-like torotaku sushi to matsutake mushroom sake, every course at Sushi Minazuki is one of its kind. Not only beautiful to look at, the cuisine of this rare Osaka find become even more memorable with Chef Takayuki Saki’s friendly hospitality. 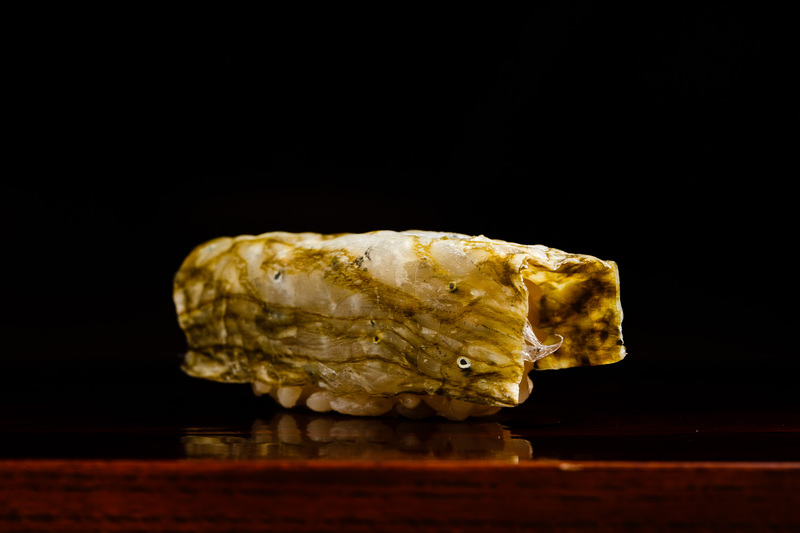 Set in a curated decor with rare antique tableware, he unfolds an evening of sophisticated sushi. Originally trained in traditional Japanese cuisine, Saki opened his restaurant on a simple yet powerful philosophy—to seek for delicious food. He has moved his restaurant four times across Osaka but every time he’s cut back on the number of seats to ensure he can offer the best experience to every guest. Blessed with great charisma, he loves chatting to the customers and sharing stories behind his original recipes. “Finding elements of entertainment and fun is the motto behind my cuisine,” he says. 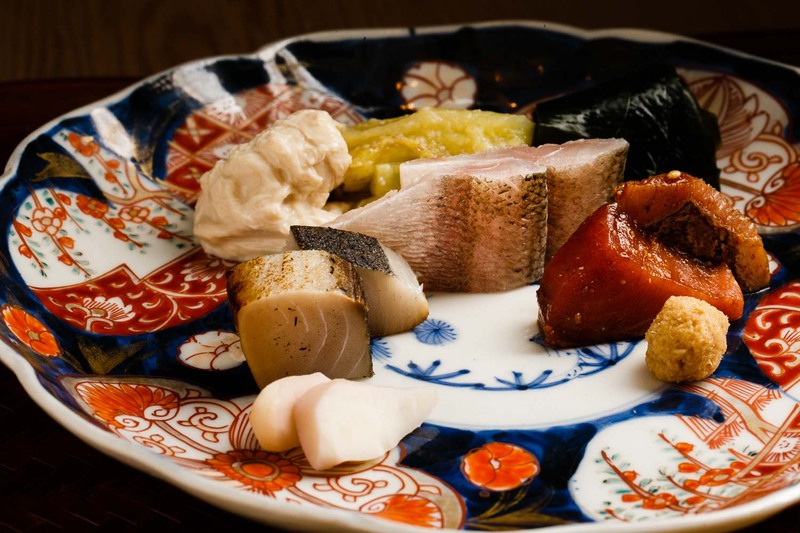 “And of course, it’s vital that it tastes delicious.” Now located in the gourmet mecca of Kitashinchi, the restaurant stands hidden on a quiet block without any big signs. 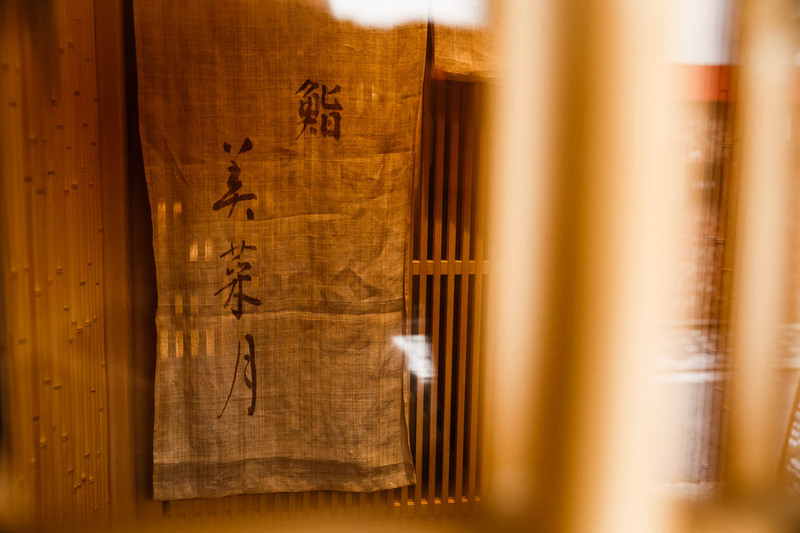 But once you step inside, you enter a still and elegant world of classic Japanese decor, set with polished wood and bamboo. The crane has become a symbol of Sushi Minazuki, as you spot the picture of the majestic bird drawn on the curtain over the entrance. A symbol of good luck, Saki folds a handkerchief into a crane and tucks it in his chest pocket every day before he begins work. Also a big believer in family, he named his restaurant after his two daughters. Sushi Minazuki offers an omakase prefix menu that begins with light vegetable appetizers, followed by sashimi and other fish dishes, before a dozen or so original sushi courses. The meal stages the best of seasonal ingredients under a new light, thanks to Chef Saki’s creativity and willingness to experiment. 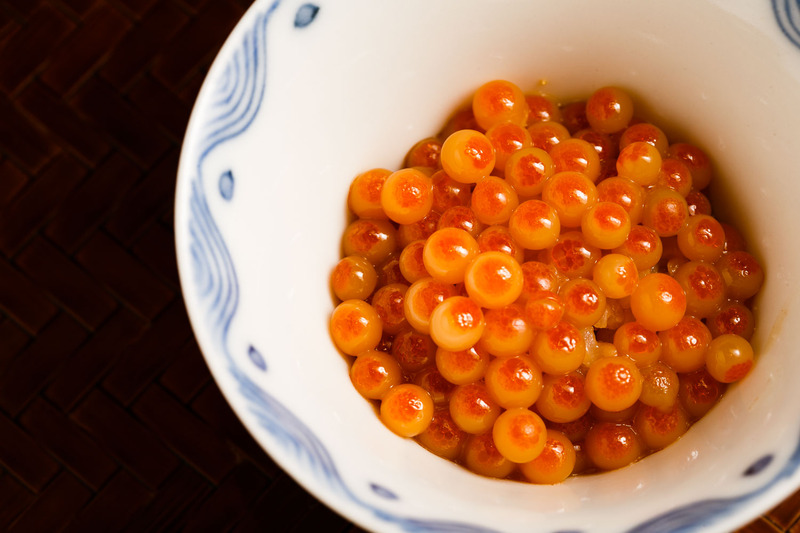 The steamed salmon roe has become a hit among fans since he began serving it about three years ago. Mimicking the recipe for a slow-boiled egg, the fish eggs are marinated in soy sauce and served steaming hot. 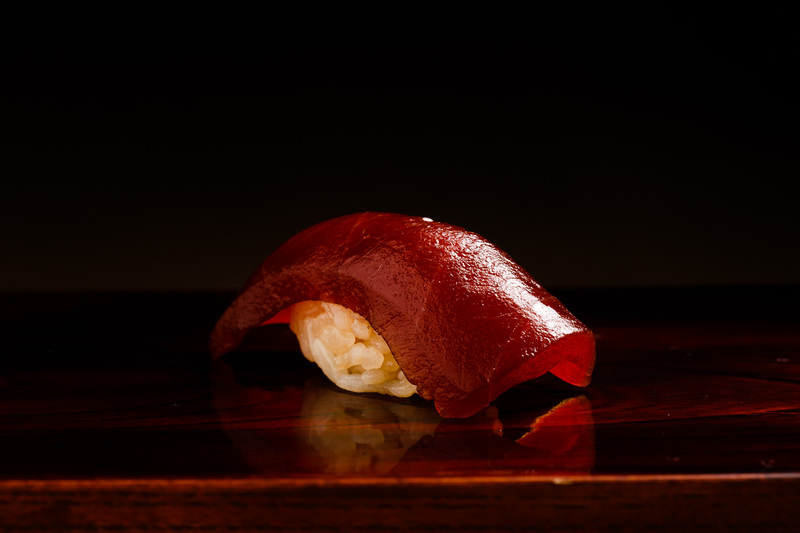 Despite its simplicity, guests are blown away by the incredible texture and contrast to the usual raw and chilled roe. The assortment of sashimi is a product of different techniques. Each fish is prepared in its own way for that particular season. The day’s catch included barracuda, rested in kombu seaweed, Spanish mackerel, smoked in hay, and bonito, marinated in soy sauce. The variety of unusual condiments, such as sliced eggplant, yuba tofu skin and mountain wasabi, also adds to every bite. The opening sushi course a beautiful red-white pair of zuke tuna and fresh whitebait. Instead of the regular black seaweed, the whitebait is wrapped in thin strips of marble-colored oboro seaweed. The deep red tuna is marinated in soy sauce for more umami. Enjoy the contrast in color, flavor and texture that opens up your palate. 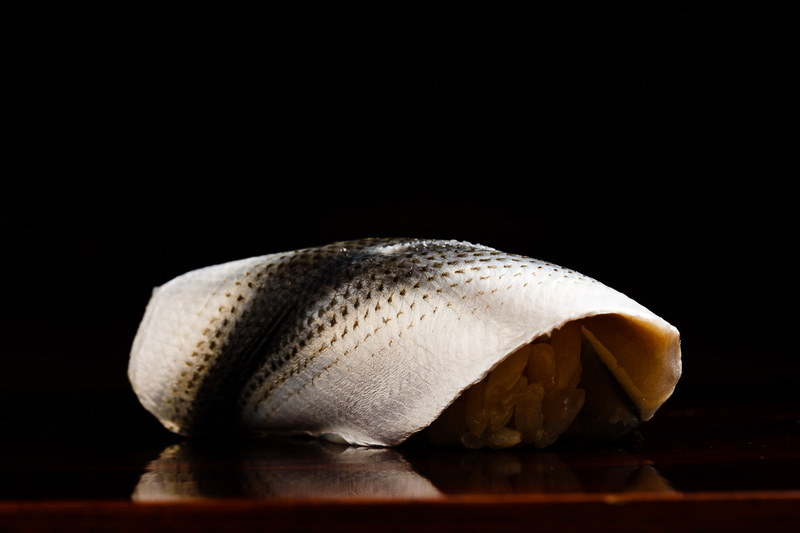 The gizzard shad from Amakusa in Kumamoto Prefecture, is marinated to a different degree depending on the season. The famous torotaku is Saki’s original sushi recipe. As the name suggest, it combines fatty tuna (toro) and pickled daikon radish (takuan), but it’s how it all comes together that makes this dish so unique. 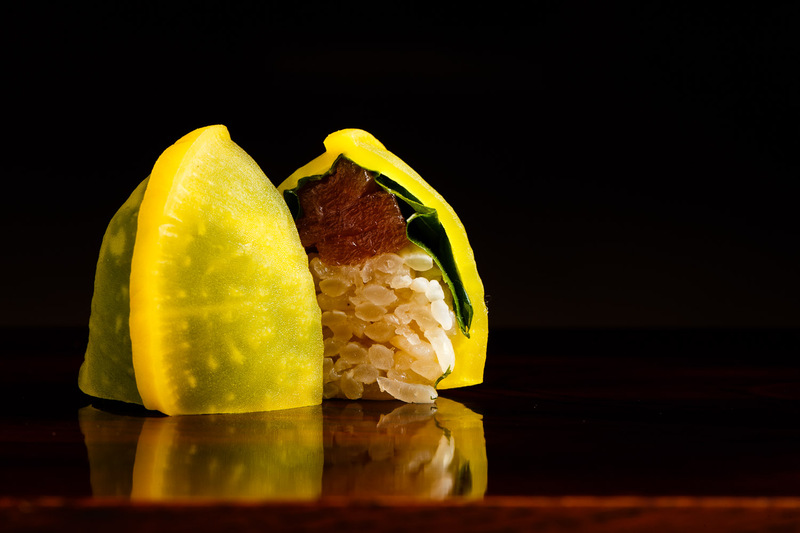 Shaped like a little golden bell, the morsel of vinegared rice is topped with sliced tuna then wrapped in shiso basil and covered with a hood-shaped piece of yellow takuan. The piece is cut in half from the top so your eyes can enjoy the layers of bright colors. The flavor of each component is complex with the shari made of three different rice blends and three types of red vinegar. A stunning piece that you will remember for years. Hire sake is also served with a twist. The heated sake, usually served with blowfish fin, is infused with a whole piece of aromatic matsutake mushroom, a fall and winter delicacy in Japan. 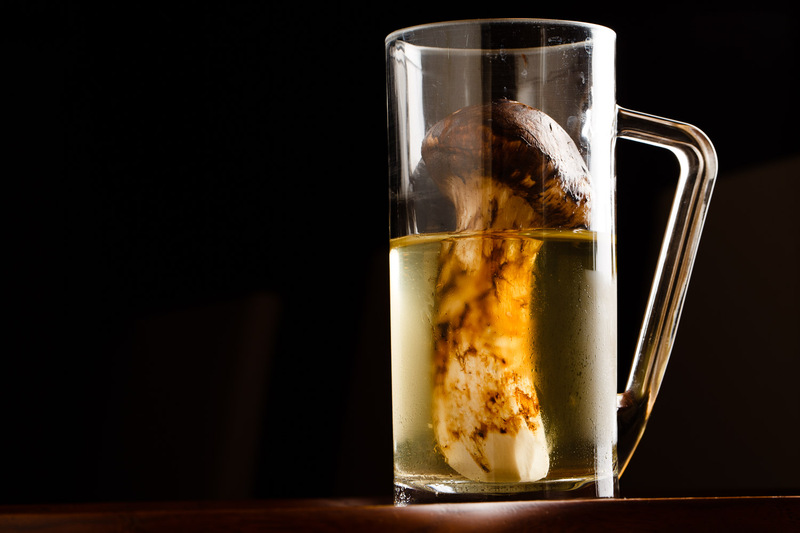 Served precisely at 60 degrees centigrade, enjoy the drink first on its own and then a piece of flavorful mushroom. During other seasons, he prepares other variations such as truffles or shark fin sake, using alcohol made of Omachi rice from Okayama Prefecture. Stealing the idea from ochazuke (rice with hot green tea,) the little bowl of hamaguri clam soup warms you to the bones. 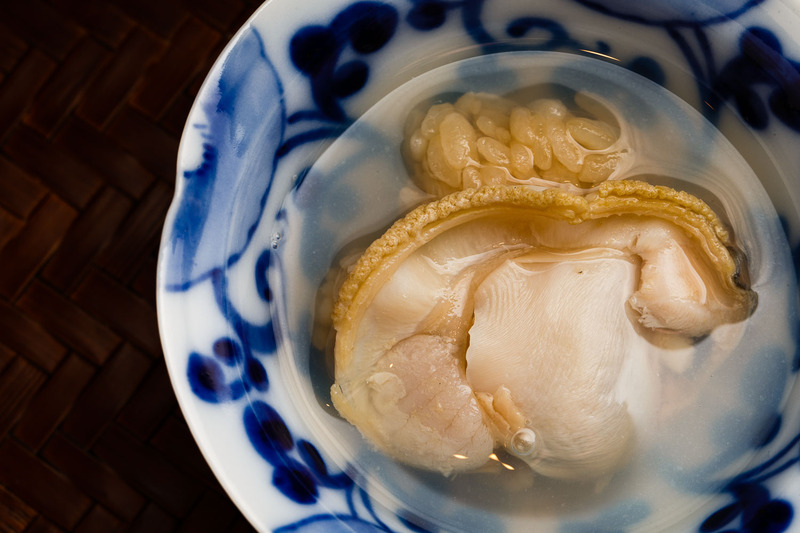 The broth is delicately cooked and is packed with umami of the sea. Saki finds most of his fish and vegetables from the main Tsuruhashi market. He often likes to buy the same ingredient from different regions and have his guests compare the variations. In June and July, for example, he likes to serve eight or nine different kinds of sea urchins and shock his guests on how unique each are. 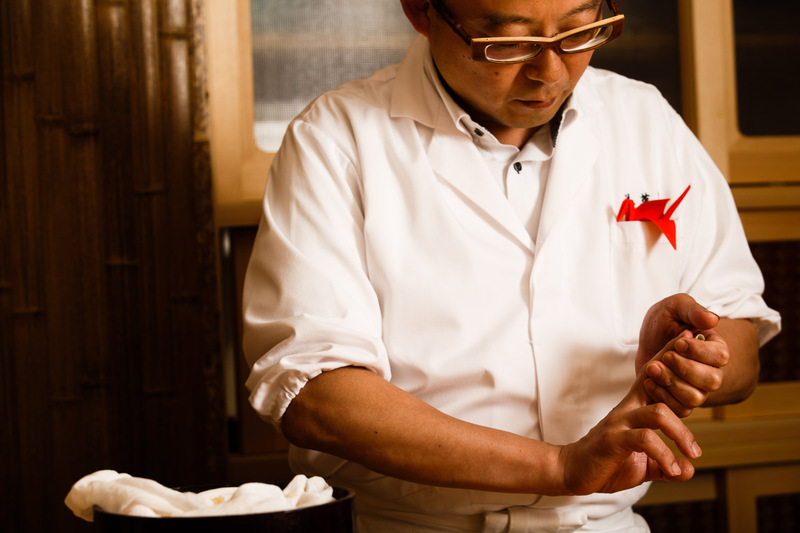 He believes that sake is an important component of the meal and spends his time in choosing the right pairings. He usually selects about ten variations from more than two hundred bottles he has resting in storage. He also has Champagne and white wines. The matsutake mushroom he uses for the sake dish is grown in Koyasan in Kishu. “The flavor (of the Koyasan brand) is just so good,” he says as he stresses the importance of choosing where his produce comes from. 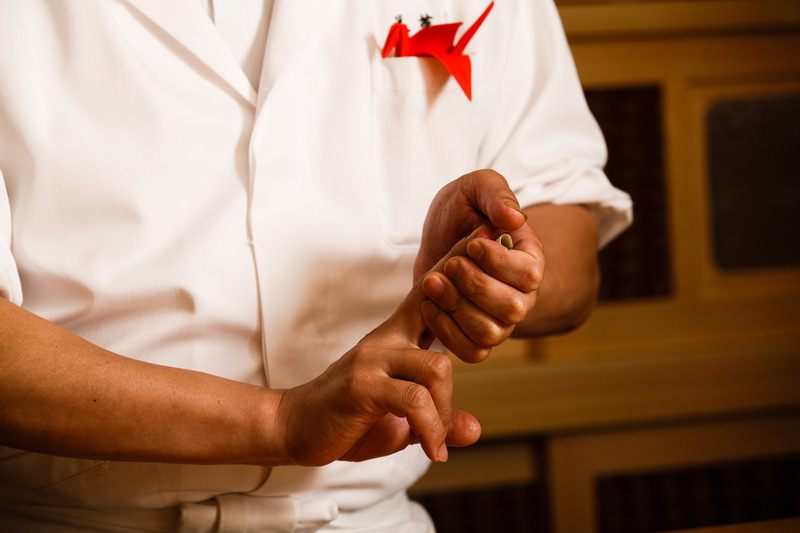 Originally from Kagawa Prefecture, Saki discovered his passion for sushi when he came to Osaka to look for a job. He was only 16 years old. Over the next decade, he trained diligently at various restaurants for both sushi and traditional Japanese cuisine. “I’ve worked at so many restaurants it’s impossible to list them all,” he says. The folded crane in his chest pocket and his stylish glasses have become his trademark among the customers. He says he loves to collect glasses. A father to two daughters and a son, he cares greatly for his family. On days off, he likes to go and try other restaurants in Tokyo and Kyoto for inspiration. Saki’s ultimate focus is here and now. His vision is based on his strong passion to offer the greatest culinary experience for his guests. Looking ahead, he’s keen on new opportunities like doing pop-up events overseas as he hopes to entice gourmands in different countries. He also hopes that his apprentices will grow to become great chefs some day. 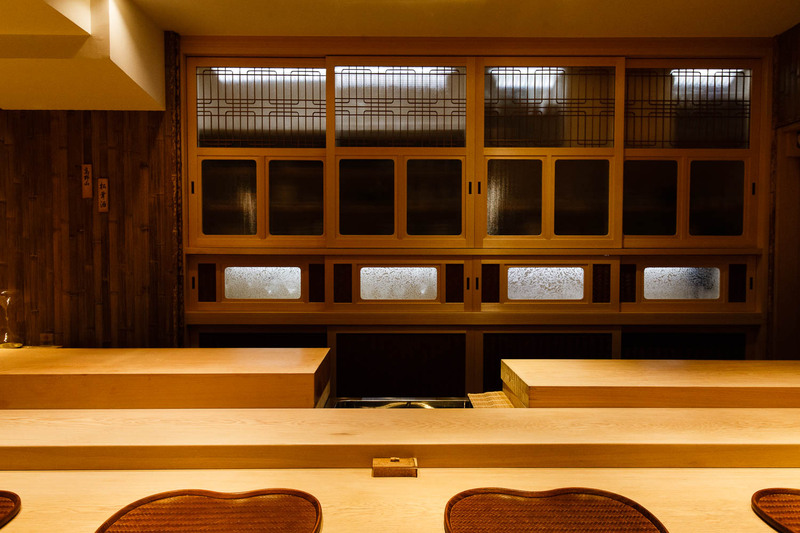 The decor of Sushi Minazuki combines traditional Japanese aesthetics with romantic western antiques. 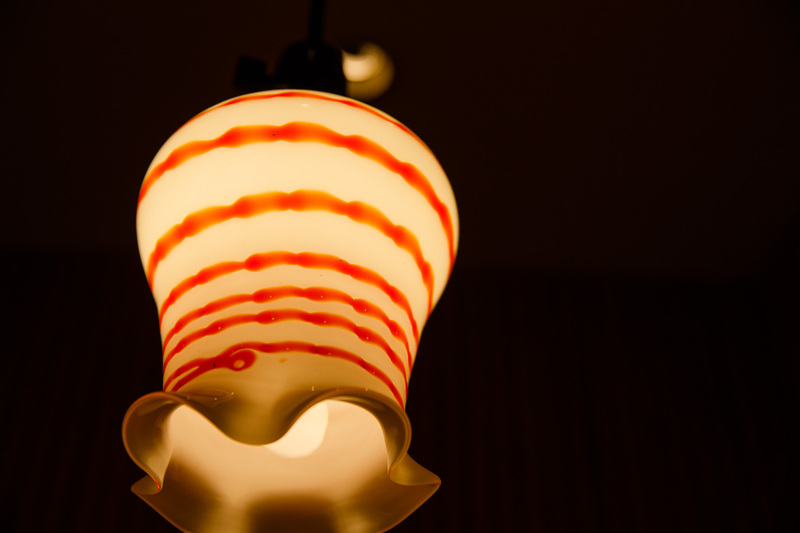 The first thing you may notice as you enter the restaurant is the warm-colored lamp. The 90-year old artifact used to belong to Saki’s grandparents and adds a great sense of warmth to the space. Each piece of cuisine is served on antique tableware. 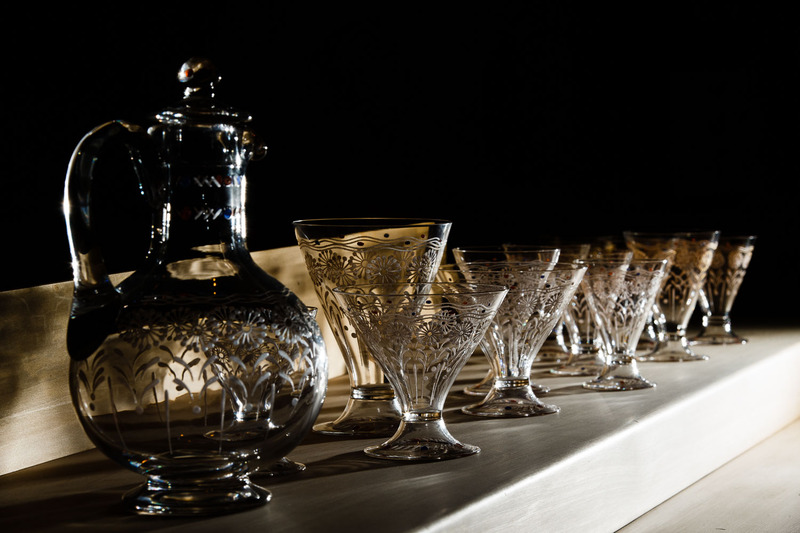 As a present to himself when he opened the restaurant, Saki bought a set of antique Baccarat that he just fell in love with. The set dates back to before 1930s. He doesn’t hesitate one bit to use the precious pieces for the guests. Please take a moment to appreciate the works of art in front of you.